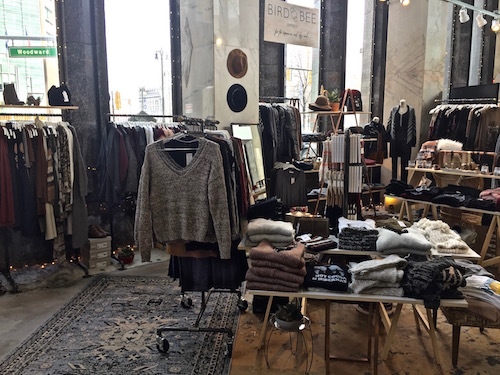 The Albert’s retail space in Detroit’s Capitol Park will house Bee Bird Boutique, a clothing and accessories retailer opening in Spring 2017. Bird Bee first opened in 2015, with sales limited to online and pop-up events and markets. The 1,600-square-foot retail space in the Albert will be the West Coast/Midwest fusion’s first brick-and-mortar location, a permanent home for their “West Coast meets Midwest” clothing, jewelry, and accessories. The Albert is a 127-unit, 12-story luxury apartment complex that opened in July 2015 and features a mix of ground retail, including Detroit Bikes and Go! Sy Thai. For more information on Bird Bee, visit www.shopbirdbee.com.